Sean Edwards’ important new book is now available here. Please read it and write a review at Amazon. 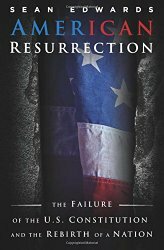 At the end of his book Sean suggests 7 discussion questions for advocates of the American rebirth. We’ve set up the questions at our Quora discussion forum. Please drop in and share your own ideas.